Dr. Elgart received his undergraduate education at Carnegie Mellon University and his MD degree from the Medical College of Virginia. He took his residence training in Dermatology and his Fellowship training in dermatopathology at Case Western Reserve University School of Medicine. He is certified by the American Board of Dermatology in both Dermatology and Dermatopathology. 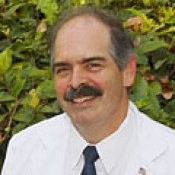 Dr. Elgart is a Professor in the Department of Dermatology, and the Director of Dermatopathology at the University of Miami Miller School of Medicine where he also serves as Vice-Chairman of Education for the Department of Dermatology and Cutaneous Surgery. His special interests in dermatopathology include malignant melanoma and infectious diseases. He maintains a research interest in bullous disease and cancer metastasis.